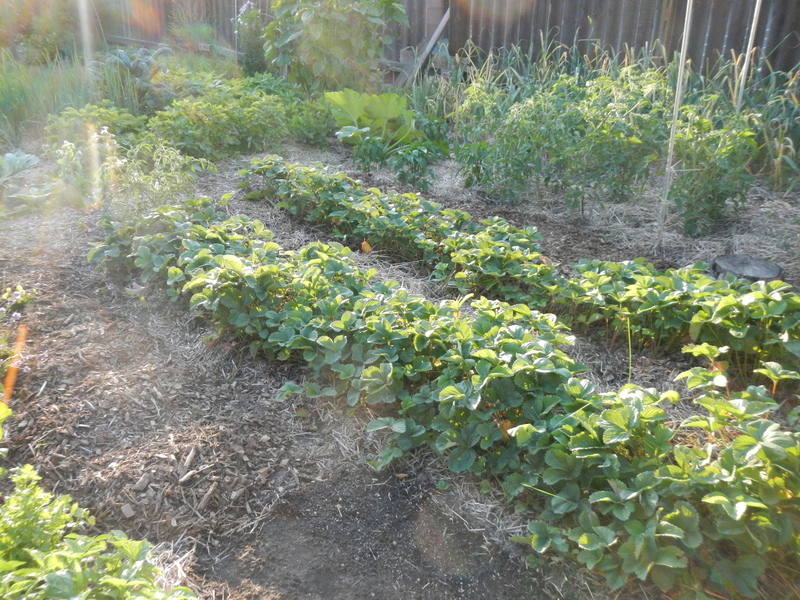 Remember when the strawberry patch looked like this? I finally did a little rejuvenation and it looks much tidier, don’t you think? 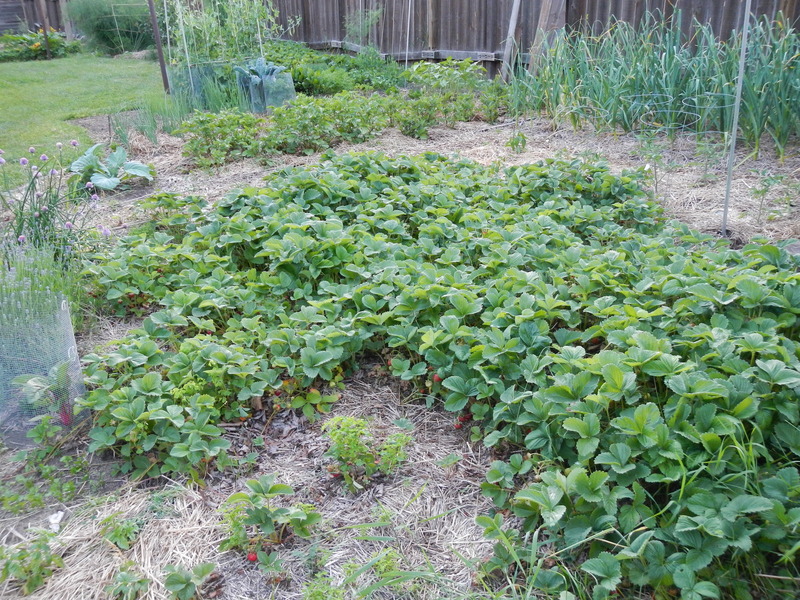 Strawberries spread aggressively by stolons and they will take over if they’re not regularly thinned. They also don’t produce as well when they’re over crowded. Don’t be shy when thinning, be ruthless. They’ll fill back in… and then some. Believe it or not, I started this patch with just four crowns two years ago. Last year I pulled out nearly 100 extra plants and I didn’t even bother to count this year. But it was a lot! Now that strawberry season is over, the raspberries are coming in. I like strawberries but I love raspberries. 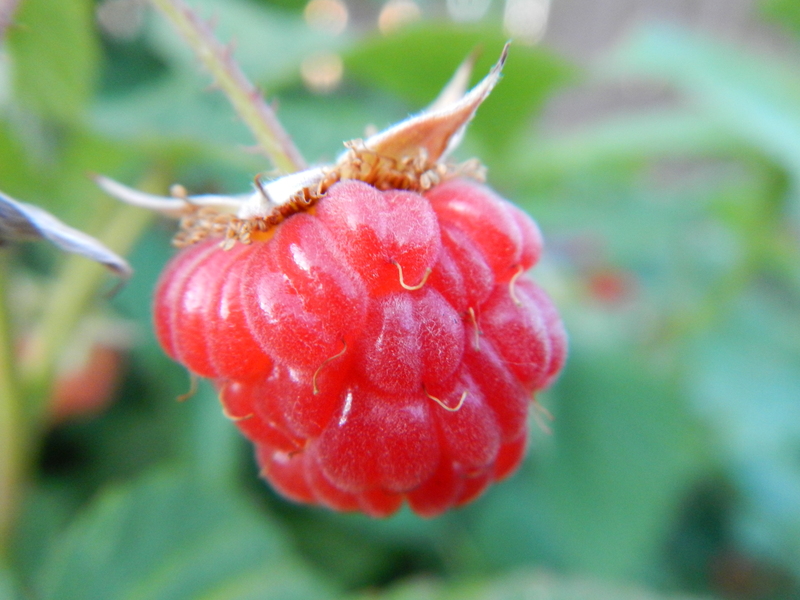 My dad used to take me out to pick wild raspberries and sitting on the soft earth with the sun at my back, smelling ripe raspberries is one of the purest pleasures in life. Most of these don’t even make it into the house. And I made lavender bath fizzies using this recipe. Swoon. What’s that? It’s summer, you say? Well, our (only) bathroom is under construction and we can only take baths. So these will probably be used up in no time flat. 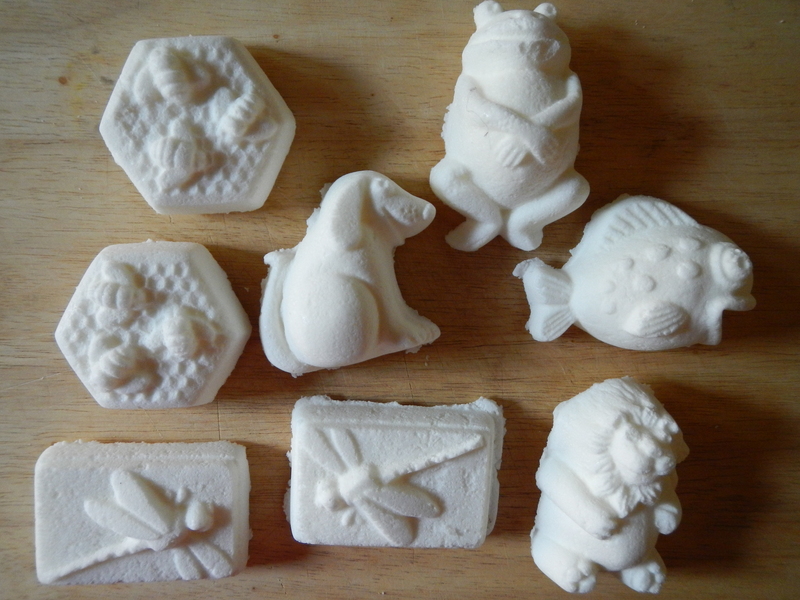 They’re ridiculously simple, however, and I will be making more. I suggest you do, too!